Born in Burbank, California, Chef Bill Schutz moved at a young age to the small fishing town of Point Lookout on Long Island, New York. As a teenager, he worked in restaurants as a Dishwasher and Cleaner before moving his way into the kitchen of a local seafood spot. There, he discovered his love for cooking. It wasn’t until a meal at renowned Bouley Restaurant in New York City, that he followed his dream. The meal at Bouley deeply inspired Schutz so much that his waiter offered to introduce him to Chef David Bouley. Their lengthy conversation led to a discussion about cooking, an offer to review his resume and ultimately hire him as a line cook. 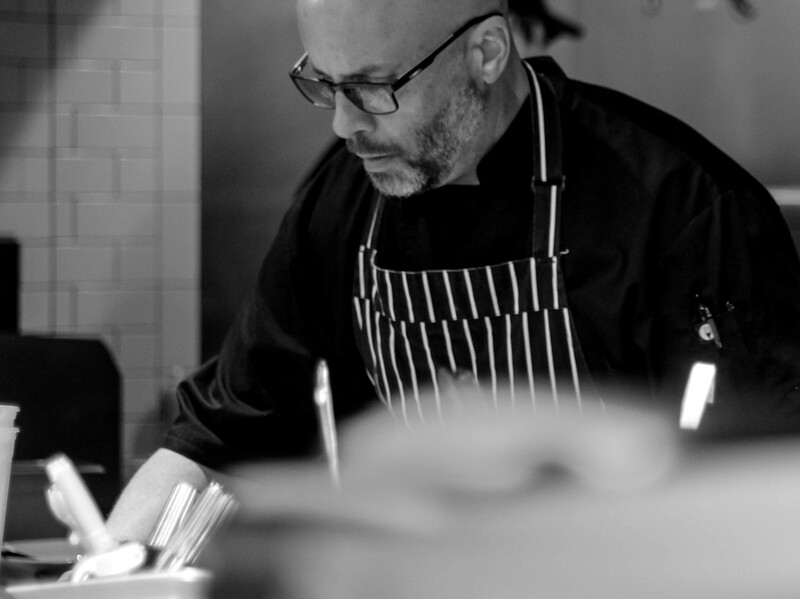 Chef Bouley served as Schutz’s mentor, fostering his talent while Schutz worked all stations in the Kitchen. When the original Bouley Restaurant closed in 1997, Chef Bouley sent Schutz to Paris where he spent time staging in three Michelin starred kitchen’s – L’Arpege and La Cote ST. Jaques. When Schutz returned to New York to be with his family, he was offered a job as executive Sous Chef at the famous LaCaravelle. After his time at LaCaravelle, Chef Bouley asked him to rejoin Bouley as Chef de Cuisine. He has also spent time in many kitchens in Spain, Italy and Singapore. Schutz now lives in Huntersville North Carolina and is currently the Executive Chef-Partner of Flatiron Kitchen & Taphouse and Mandolino’s in Davidson, N.C.